The RRB Dates back to the 16th/17th century when European settlers brought, Mastiff, Bloodhound, Great Danes, Pointers and Greyhounds with them. The breeds were interbred with the native hunting dogs to produce a large dog with a ridge fur growing in the opposite direction on the ridge of their backs. In the late 1800's, these dogs were taken to Rhodesia (now Zimbabwe) for use as hunting and tracking dogs in the popular sport of Lion hunting. The dogs would track lions and keep them at bay until the hunters would shoot them. By the 1920's a breed standard was finalised and soon after the breed was introduced to Britain and the rest of the world. It is classes as a sighthound. 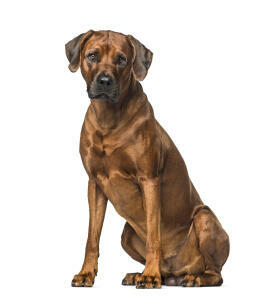 These strong powerful dogs are a versatile hunter and loyal protector of their family. They are naturally good with children but can be a little too energetic with small children and their tails are like a whip to toddlers. They can be raised with cats if from a young age, but their prey drive is very high. RRBs are wary of strangers coming into the home and can be aloof/protective over you and the household. Early socialisation is important and inviting lots of different people into your home will help this. 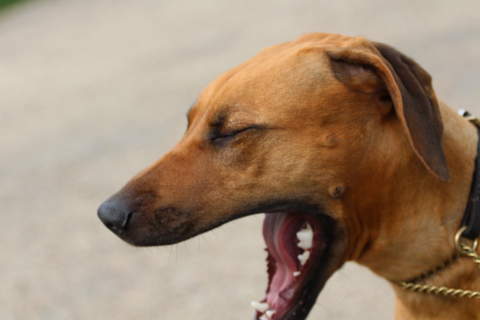 They don't often bark, but when they do it is a warning that something isn't right and you should take notice. They have keen eye sight and a good sense of smell and will usually spot something long before you do. They will need to be walked in a safe area or on a lead to prevent them dashing off after a carrier bag blowing in the wind. They make good running/jogging partners and have boundless energy as youngsters. They do mellow as they get older and can become couch potatoes. Training needs to be started early and be firm and consistent, as they are a powerful breed who need to know boundaries. They are intelligent and capable, but can be stubborn and selective deafness is common. 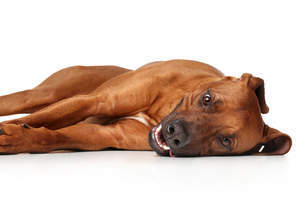 Some males can be aggressive to dogs of the same breed, especially if they aren't neutered. They do, however, want to please you, but only if they see a point in doing what you are asking. 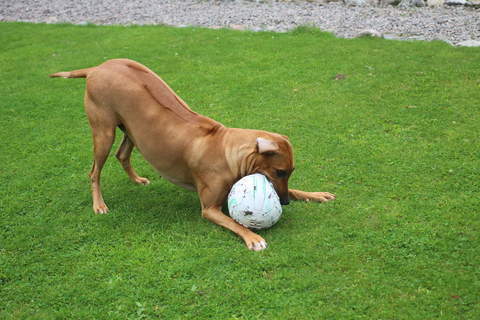 Competitions such as agility, obedience and tracking all work well to keep them happy. Play and reward based training is best, as they can be greedy and will do anything for food. This includes emptying your bin when you are out. When you are home, they will expect to sit on your lap and share your bed. They forget how large they are. They get bored easily and need something to amuse themselves. Play and toys will help, but if not they will find something to do. Usually resulting in some form of destructive behaviour. Coat care is very minimal, just regular brushing to remove dead hair and health wise, they suffer from few ailments. 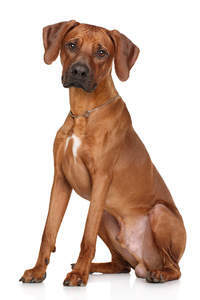 Canine Hip/Elbow Dysplasia is sometimes seen. 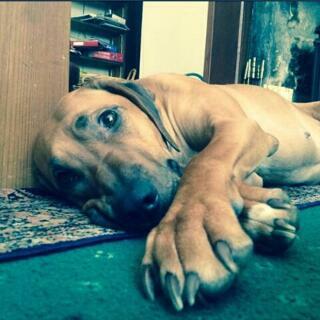 Rhodesian Ridgebacks possess a confident and domineering temperament. 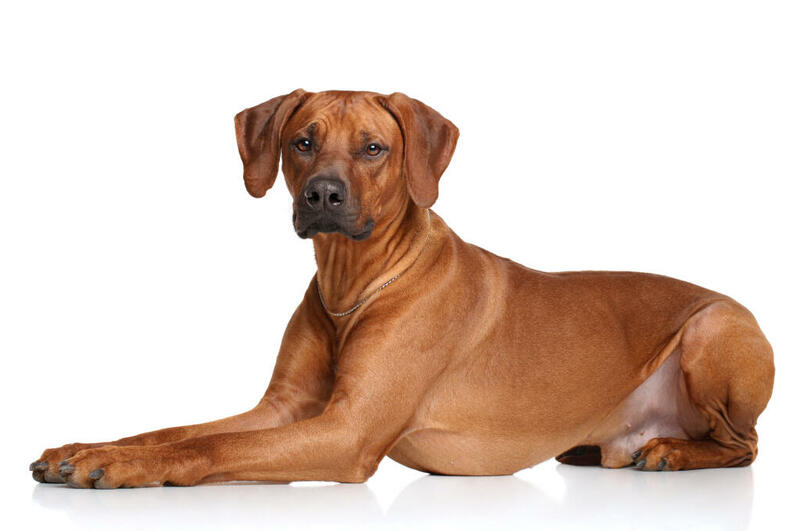 These dogs lots of exercise, training and understanding in order to be a successful pet. 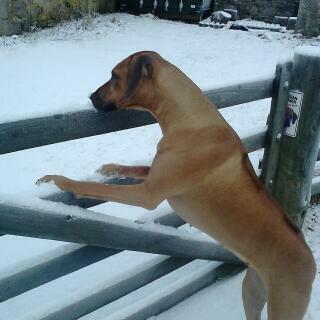 In inexperienced or lazy hands Rhodesians can be very dangerous dogs. In the right hands they make joyful companions who are always enthusiastic and up for a game. 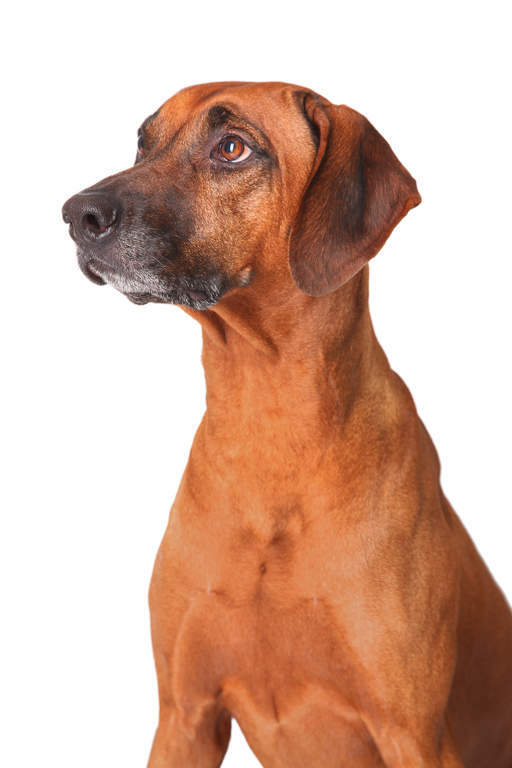 They are protective dogs who will be devoted to their families and wary of strangers. 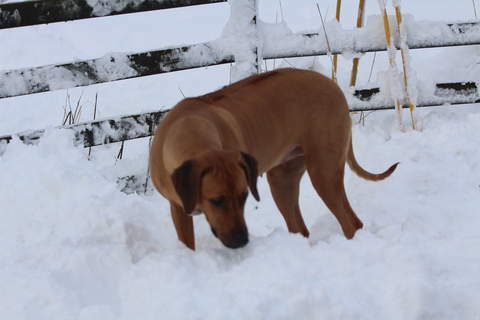 Health problems that may affect Rhodesian Ridgebacks include canine hip dysplasia (CHD), elbow dysplasia, luxating patellar (dislocation of the knee cap), cancer, heart disease, allergies, progressive retinal atrophy (PRA: degeneration of the retina which can lead to blindness), bloat, dermoid sinus (congenital condition detected at birth) and epilepsy.